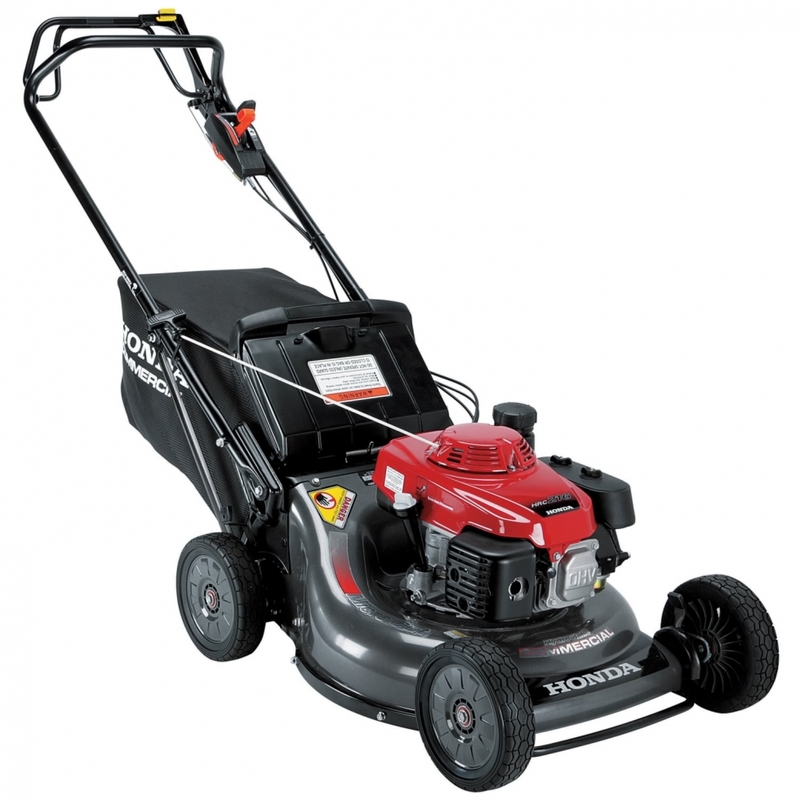 Honda's HRC216HXA Self-Propelled Lawn Mower with Bag offers all the features needed to complete a big job. This mower's durable commercial transmission offers infinitely variable speed control from 1.8 to 4 mph. It also allows you to change and maintain ground speed to match mowing conditions. The easy-to-start GXV160 commercial engine is designed for superior reliability and has a cast iron cylinder sleeve, two-stage air filter, ball bearing supported crankshaft, electronic ignition and mechanical governor. The GXV160 is certified to meet EPA and CARB emission levels in 50 states. The user does not have to shut off the engine to empty the bag thanks to the Honda Roto-Stop® blade system. Rather, it allows the user to step away from the mower, without having to start and re-stop the engine. This 21" commercial rear bagger/mulcher uses Honda's MicroCut® twin blade system. The blades use four cutting surfaces that result in ultra fine clippings for superior mulching and bagging. Tiny pieces mean up to 30% more clippings in a bag, plus better mulching – saving you time and money.